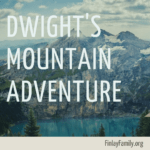 As a busy parent, I work hard to preserve time for family history work. Over the years, the tools I use have made the biggest difference in how much time I can spend and how much I can accomplish. 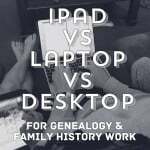 Today I want to compare different electronic tools that can be used for genealogy and how they have helped me do the work while raising seven children. What can be done on the iPad? What are some limitations of the iPad? What can be done with a laptop? What are some limitations with a laptop? What can be done with a desktop? What are the limitations with a desktop? For the past several years, the iPad has been my go-to device. 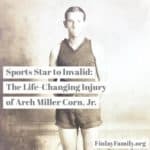 It has allowed me to accomplish a lot of family history preservation and sharing and a lot of genealogy research. 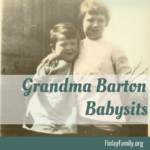 What tool helps you facilitate your family history work as a busy parent? 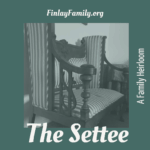 Read more tips for busy parents who want to be involved in family history at the April blog link-up hosted by Family Locket. Melissa! What a great post. 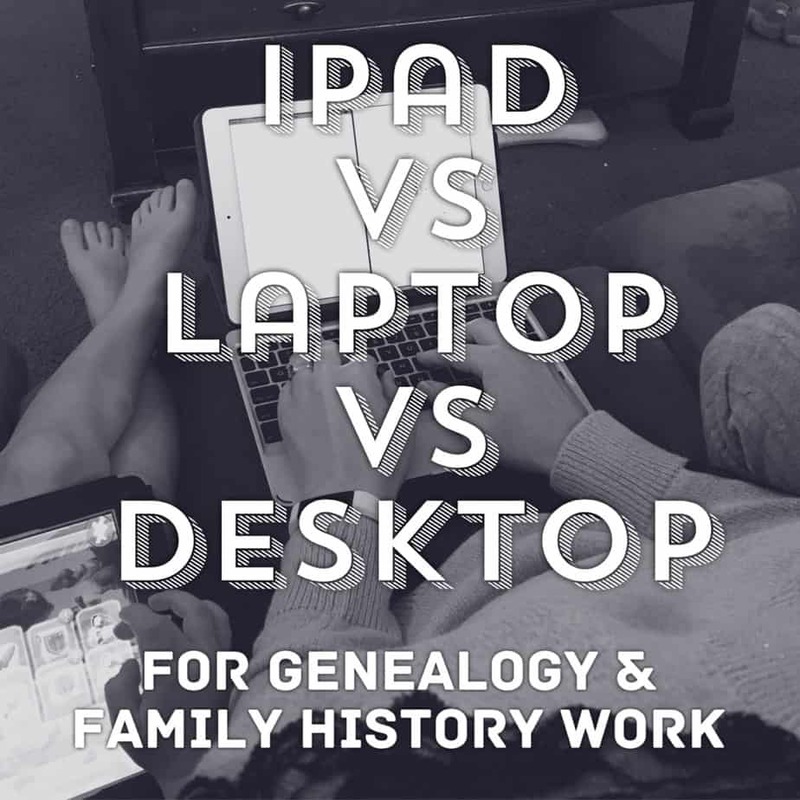 I love how you explained the technological tools and what they can and can not do for genealogy. Almost makes me want to add a tablet to my arsenal. The tablet has seriously been my genealogy “saving grace” through the last two babies/toddlers. Isn’t it amazing that we have these tech tools to facilitate our family history and make life more efficient?! I love whipping out my device and pulling up a census record or tree whenever I want to, wherever I am. We are so blessed. Truly! The advancement in the tools at our disposal is mind boggling from the time I started researching 26 years ago until today. Great ideas! I think you’re right, iPads are awesome for following kids around. I like my chromebook for that too. It’s so much like a tablet. I love that the battery lasts 10-13 hours. So lightweight. 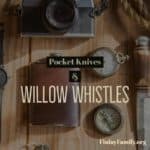 These are so nice for carrying around your family history technology! Yes, Chromebooks are very useful too. I didn’t cover those specifically in my post because our chromebooks are mostly used for my kids homeschool tasks. Thanks for pointing that out. Thanks for sharing all about iPads … I should get a new one. My old 1st generation one doesn’t even access current apps. Perhaps what I learned most from your post is that I have old tech and I need tech that is current to make better use of my time and ease frustration. My cousin does a lot of on-the-go family history using her phone when she is waiting in line or waiting for appointments. Then once a week compiles her notes, etc. She wrote an entire history on one of her ancestors this way! I love tech that makes us more mobile. Thanks for sharing! Yes, the newer models have amazing capabilities. She wrote an entire history in batches on her phone…Impressive!! I’m ready for a Chromebook! I need something more portable and with a decent keyboard. Great ideas, Melissa. It’s so amazing what we can do now with our tech tools. The nice thing about Chromebooks is that they are so affordable!